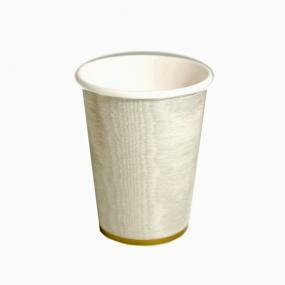 Caspari cups in Moire Silver. Perfect for an addition to a silver (25th) or a diamond (60th) wedding anniversary celebration. Contents x 8 8oz cups. Not for use with hot drinks.